Zaid Mohseni is a Director of MOBY GROUP. 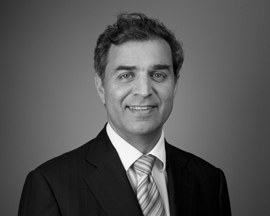 A lawyer by training, Zaid started his career with Wilmoth Field Warne, a Melbourne-based law firm, where he was promoted to Partner, heading the firm’s Commercial Department. Following a successful 12-year legal career, Zaid returned to Afghanistan with his brothers and sister, where he joined MOBY in 2004. During his time in law, Zaid specialized in new technology and media, which proved valuable when he took up a leadership role at MOBY, overseeing all legal and technology-related matters. His interests span media, technology, business management and the history and politics of the Middle East and Central Asia. Zaid graduated from Monash University with a degree in Economics and Law in 1992. In 2011, Arabian Business magazine awarded Zaid and his brother Saad with an Achievement Award for their work in the United Arab Emirates.